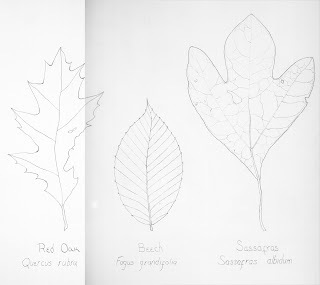 After you have completed your observation of geometric forms, find three different types of leaves. Observe and note the variations of form and shapes. Notice the detailed differences such as serration, veins, etc. 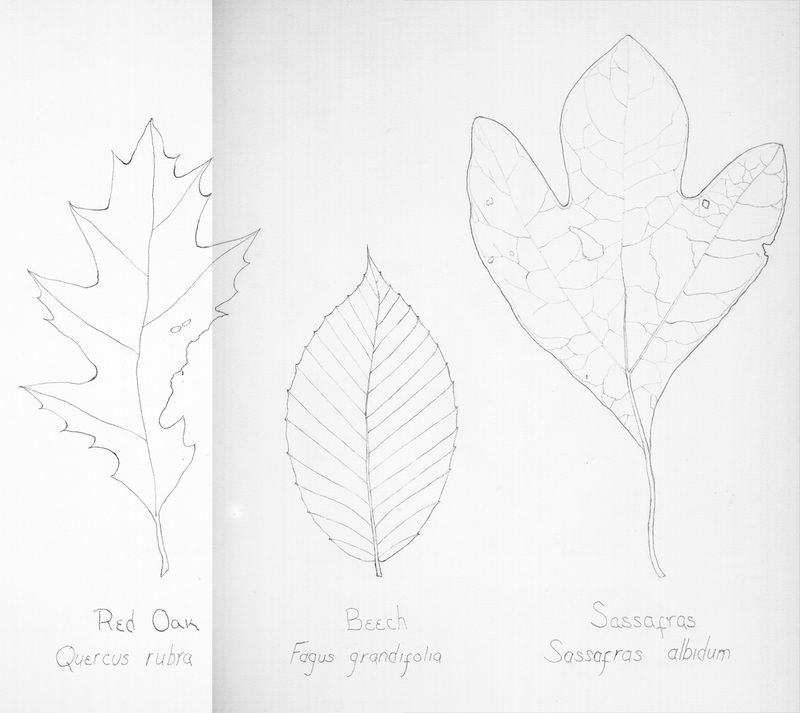 With your pencil and paper, sketch the outline of the leaves, then work on the details. Spend 10-20 minutes on each leaf. 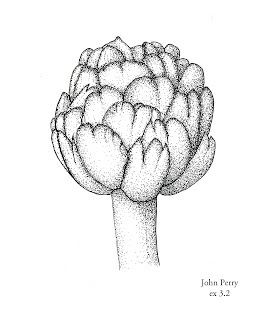 Excellent work here -- it has an instructive, text book quality, which of course, is important with botanical illustration, to be able to communicate that information. I like in particular the sassafras -- just the right amount of information, and personally, I always feel as if those imperfections -- the little insect nibbles, presence of fungi and such -- breathe a kind of honesty and life into the work. Good work here. I like it better than the radish -- feel as if perhaps your heart was more in it here, a little more devotion to the details. Where your light source is coming from. Consideration of the overall layout. This is important because shadow and light can make up how the composition is developed. How layers will be rendered when working with overlays. For this assignment find a challenging, single subject to illustrate,with multiple layers and many details. A good example is a pine cone or a pineapple. A branch with leaves, or even a rose flower can be an interesting subject for the layers of petals, too. This is just what I'm looking for. The composition is excellent, and your stippling is outstanding. Hard to describe, exactly, but I really want to see shading as opposed to stippling, that is, they are there to suggest the shadows, but not shout out as little dots. See what I mean? You've managed that very well here. A great improvement in your pen, I'm really pleased to see the effort here! Would be nice to return to this subject, present it as a series of sorts. It's ideal for this work, since it offers enough challenge as to be interesting, and yet, it doesn't seem to be overwhelming. Start by finding your subject. When searching, find a plant subject that you have not sketched before. Either a flower, leaf, seed pod or fruit will be great. 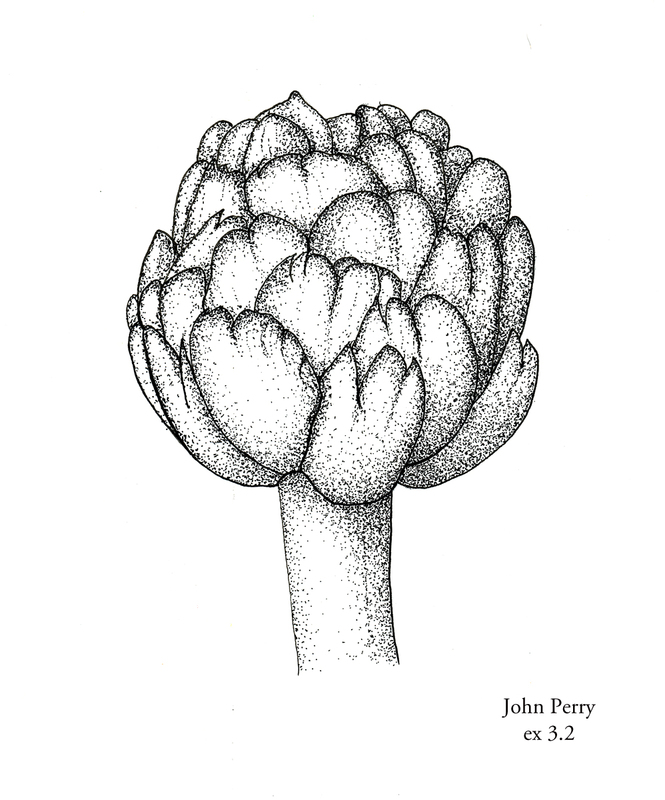 If you are looking for a challenge, try sketching a group of flower blooms or foliage. Plan out your drawing. Use your pencil to sketch the layout. For this assignment we will use the first technique as outlined from the previous exercise. After your layout and composition is finalized, use your charcoal tool lightly to sketch the outline. Work on this illustration for over an hour. This will be part of your portfolio, so spend as much time as necessary! Please post any questions or concerns you may run into. 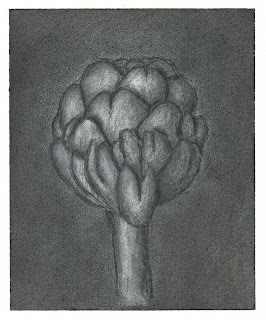 Once finished, spray your drawing with fixative (make sure to follow instructions). 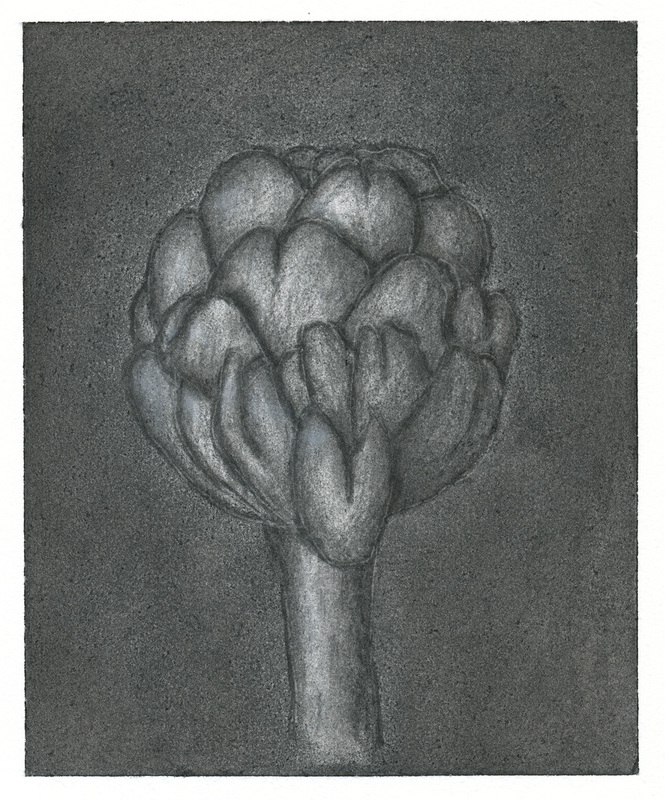 When dry, you can return to your drawing to add a second layer to darken with charcoal and add highlights with your chalk. You can spray again after it is completed. This is softly and beautifully rendered. You're exercising good command over a medium that can be a little wild and wooly. I appreciate, too, that you selected a rather contained subject -- not too complex, and yet with enough challenge to give you a run for your money.